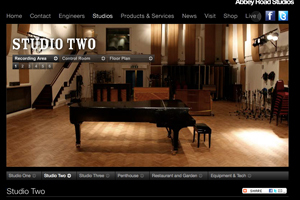 Abbey Road Studios has named Smyle as its technical event partner. Smyle has been appointed preferred supplier for event production and digital visual media at the studios, which can be now be booked for a limited number of events each year. Abbey Road Studios head of brand and marketing Kerin Purcell said: "Smyle provide an exceptional level of service and creativity in the production of events. We have already worked in partnership on a number of exclusive and unique events at Abbey Road Studios and are pleased to be able to recommend Smyle as our preferred supplier."